This passage includes some of MacLeish's essay on Milton. From such an essay by one so young, we can infer that MacLeish entertained a desire to be like Milton, if duty should call him to do so. I will refer to this passage again in another blog entry when I have more on MacLeish's familiarity with Milton. 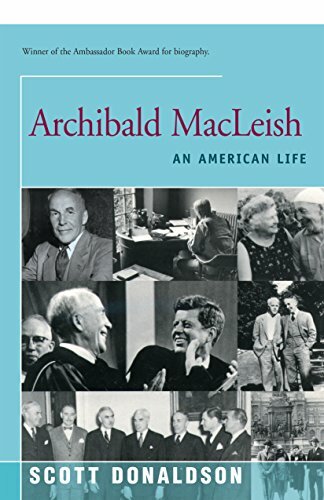 Meanwhile, does anyone have access to MacLeish's entire essay?